A bare-chested and bloodstained man caused a disturbance in a hospital casualty department as a woman lay dying, Selkirk Sheriff Court has heard. Grieving relatives were forced to listen to Joshua Watson shouting and swearing and making threats of violence at the Borders General Hospital at Melrose. Staff were forced to restrict just one relative to the bedside of the dying woman and moved others to a safer part of the building as they struggled to control the 25-year-old, claiming to have been stabbed in the head and abdomen. Children had to be evacuated from the accident-and-emergency department waiting room at the hospital into a ward so they were not subjected to obscene comments from Watson. One family took their child back to the car park and waited in their vehicle to avoid Watson. A doctor told a trial at Selkirk Sheriff Court that when he tried to treat Watson, he threatened to punch him if he touched his face. Staff nurse Angela Hislop told how she pressed her panic alarm as soon as Watson entered the department late at night on September 22 as Watson was shirtless and had blood dropping from him onto the floor, as well as shouting and swearing. She said Watson initially ignored her and was asking two people alongside him to take a photo of his injuries. Asked what she thought about Watson’s behaviour, the staff nurse replied: “I felt frustrated for the patients that someone was lying there dying and their family had to listen to the swearing and shouting and abusive language because they could hear it all. Watson pleaded not guilty to a charge of racially-aggravated threatening or abusive behaviour, but after hearing the medics’ evidence, he changed his plea to guilty with the racist element of the charge removed. Watson, of Mertoun Estate, near Melrose, was sentenced to 90 hours’ unpaid work by sheriff John Cook. 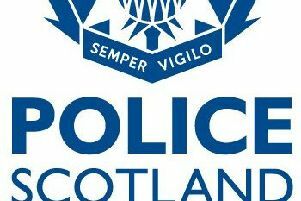 A not-guilty plea to possession of cannabis at Hawick police station was accepted by the crown.